Football is very big in Saxony. According to some sources, the first football game in Germany took place in Dresden in April 1874. In the year 1900, the German Football Association was founded in Leipzig. The Dresden Sports Club was the last German champion before World War II. After the war, Dynamo Dresden became East German champion eight times and cup winner 7 times. The ultra-modern new stadium was opened in 2009 and served as one of the venues for the FIFA Women World Cup 2011. Dynamo has an extremely dedicated fan base and visiting a home game is a real treat. The Red Bull Arena in Leipzig, home of Red Bull-sponsored Bundesliga RB Leipzig team, was dedicated in July 2004 and used for the FIFA World Cup 2006. Golfing has become very popular in Germany and German golfers are among the best in the world. In Saxony, this is reflected by a growing number of golf courses which can be found in Dresden and Leipzig as well as in beautiful countryside locations, like at the Rammenau, Machern and Klaffenbach castles. Among the Saxon golf courses, the one owned by the Golf Club Dresden-Elbflorenz is ranked the highest. What is today known as free-climbing originates from Saxony. When the region known today as Saxon Switzerland National Park became a touristic hotspot in the 19th century, the majestic sandstone rocks soon suffered from ruthless rock-climbing activities. Thus, the Saxon Climbing Rules were drawn up in 1910, evolving later into the principles of free-climbing. Saxon Switzerland is still a climbers’ paradise and a great place to learn how to climb. The Zittau Mountains and the Greifenstein Rocks also offer spectacular climbing opportunities. The Elbe Cycling Path is the most popular cycling path in Germany. This is not surprising for it passes the majestic Saxon Switzerland National Park, beautiful Dresden and the enchanting Saxon Wine Region around Meissen. Even for the untrained cyclist it is no challenge since it runs along the banks of the Elbe River, with 30 kilometers alone within Dresden’s city limit. Bicycles are on rent in many places and even the luggage can be transported. There is also an ever-growing number of pedelecs which make cycling a piece of cake. For more sporty types, mountain biking is offered in the mountainous regions of Saxony. 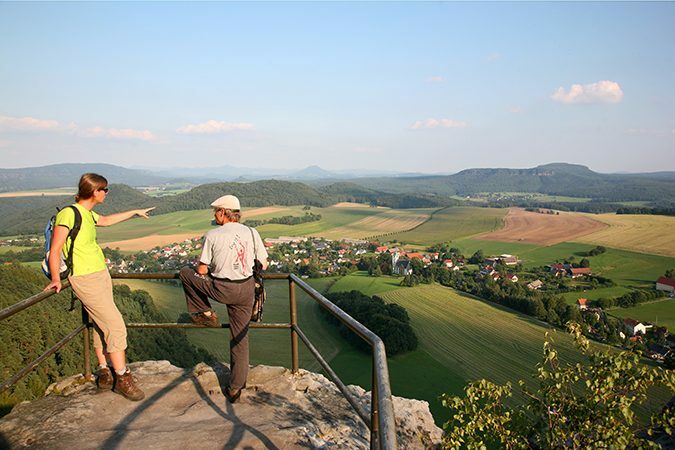 Saxony is a paradise for hikers and it comes as no surprise that Germany’s most popular hiking path is in Saxony. The Painters Path leads to places where famous artists have found inspiration in the breathtaking landscape of the Saxon Switzerland National Park. But there are almost unlimited possibilities for taking a hike all over Saxony. Even in Dresden where the Dresden Heath covers 1/3 of the city’s territory, an escape to nature is just a stone’s throw away. All kinds of water sports are offered in Saxony. 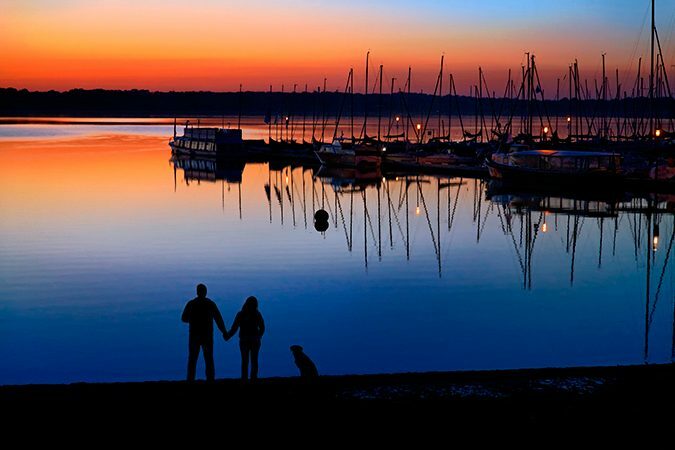 The new lake areas around Leipzig and in Upper Lusatia are a perfect place for sailing and windsurfing. There is a large number of rowing clubs on the rivers and specialized tour operators offer canoe trips. Speedboats can also be raced in certain areas. The Canoe Park in Markkleeberg near Leipzig offers wild water rafting at Olympic standards. And the annual dragon boat race in Dresden is always fun to watch. With an abundance of curvy b-roads cutting through its vast hilly areas, Saxony is perfect for motor bike rides. Best of all, there is little traffic compared to many other parts of Germany. Naturally, guided bike tours are also available. For higher-octane drivers, the Sachsenring race track offers training courses and opportunities to experience racing conditions. The annual MotoGP is an event not to be missed by all lovers of motorized two-wheelers. While the Saxon ski resorts cannot compete with the Alps in terms of size of altitude and size, they offer a wide range of winter sport activities. 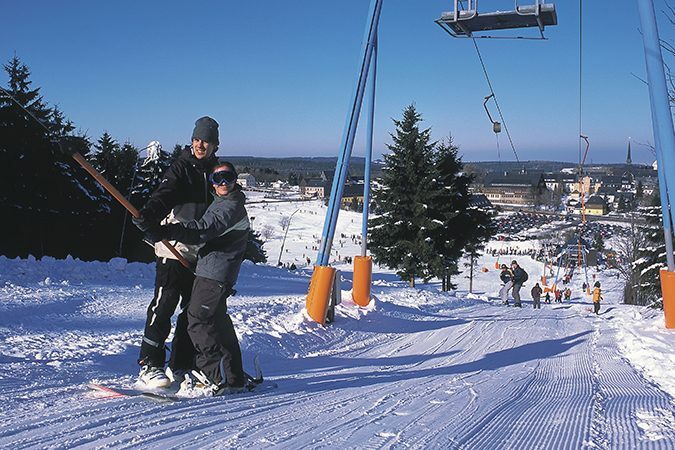 Oberwiesenthal, Germany’s highest town, offers reliable good snow conditions from December to March and is equally suited for alpine and cross-country skiing, après-ski fun included. Altenberg majors in cross-country disciplines and the Altenberg Bobsleigh run is a major venue of the World Cup circuit. Anyone can take a ride under the supervision of experienced athletes. The ski jumpers feel at home at the Vogtland Arena in Klingenthal which is also open to visitors. While cricket is not in the heart of most Germans, a multinational group of expats founded the Dresden Cricket Club which plays in Germany’s top cricket league and has even performed well at European levels. But most members are part of it just for fun. Spectators are always welcome at the home games. And who knows what the future will bring? After all, football was also ridiculed when it came to Germany in the 19th century.